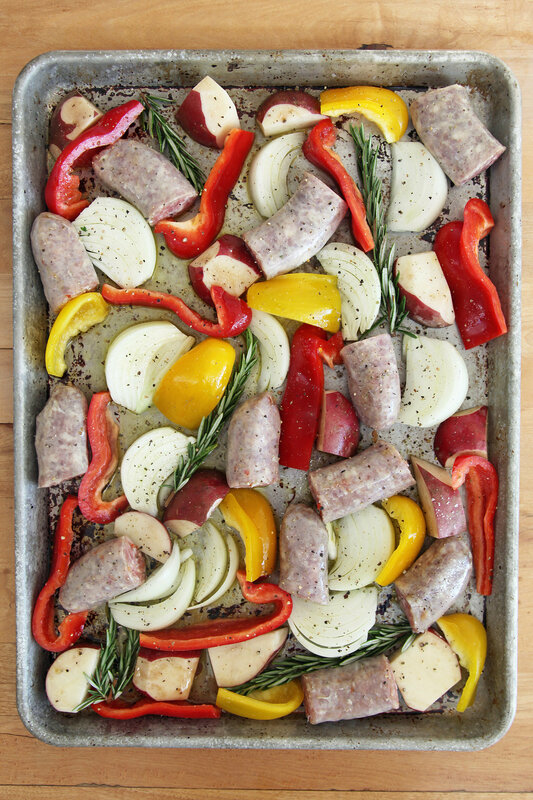 On a busy weeknight there’s pretty much nothing better than a one-pot (or in this case, pan) meal. 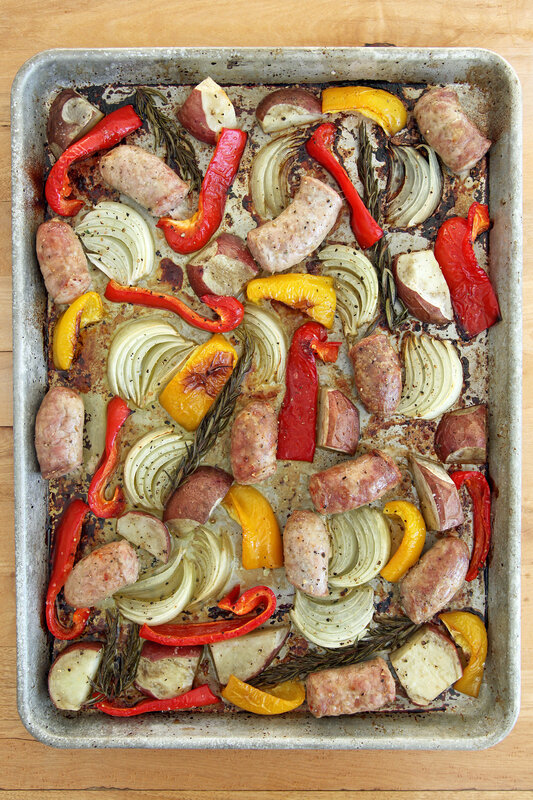 That is, a one-pan meal that actually tastes delicious. 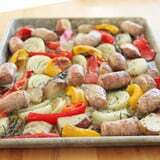 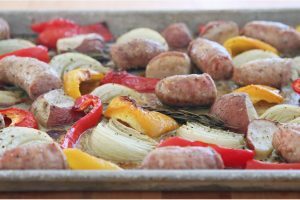 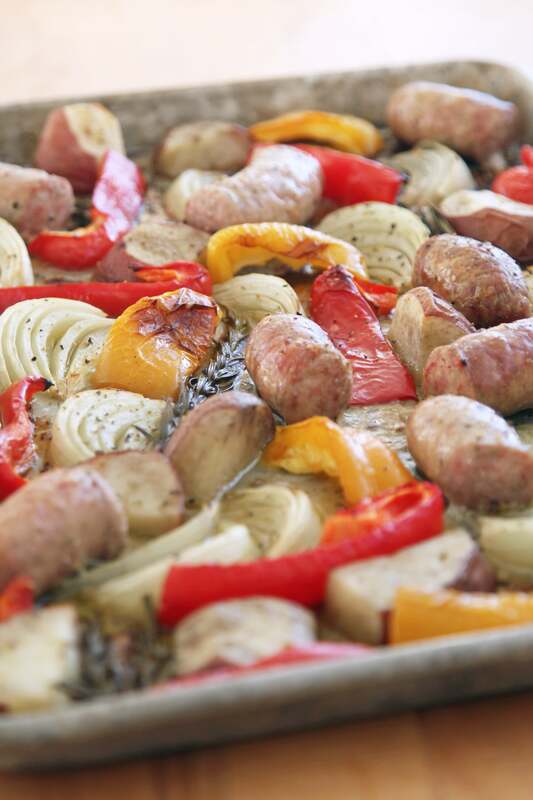 This hearty combination of roasted sausages, potatoes, bell peppers, and onions certainly qualifies.